I will admit vacuuming it not one of my favorite thing to do especially since it has to be done daily or every other day. Living in a house with 3 boys, husband and a dog my floors get dirty quick! When I was sent the Panasonic Jetspin Cyclone upright canister vacuum I was thrilled to give it a try. When the Panasonic Vacuum arrived, I had it assembled in minutes, which is nice when you have little hands around that want to help. The first feature I noticed was that the handle on the Jetspin Cyclone, is adjustable for height Which is great for me since I am short ( just over 5 foot) and when my husband vacuums he can make it taller.....comfortable for everyone! The on/off button is on the canister itself, rather than by the foot pedal. Another great feature is the Dirt Sensor, If you pass by a dirty area it lights up red – when it’s green you can move on to the next section. The dirt sensor is GREAT, it gives me a piece of mind that my floors are clean. With the on-board attachments, flexible hose and wand you can get a combined 12-foot range, which make cleaning almost anywhere easy ! I also really like the pet hair turbine brush that is included, it is more effective at removing pet hair than straight suction and gentler on upholstery and fabric. Which is great in my home since my dogs favorite spot in house is the sofa. Another great feature is that the Jetspin Cyclone dust cup can be completely disassembled and thoroughly washed, eliminating any odor. With the touch of a button, the agitator is shut off for an easy transition to safe bare floor cleaning which makes this vacuum all you need for all of your floor cleaning ! I do not think I have used a broom in my kitchen since receiving the Jetspin Cyclone, the Bonus Floor Brush works great. If you are in the market for a new vacuum or looking to buy one for someone , I highly recommend the Panasonic Jetspin Cyclone Vacuum. Priced at $249.00 you can buy the Panasonic Jetspin Cyclone Vacuum direct from Panasonic. Learn more about Panasonic Vacuums at www.Panasonic.com/Vacuums. *CLOSED* WINNER HAS BEEN EMAILED! Leave a comment telling us what you like most about the Panasonic Jetspin Cyclone Vacuum? One winner will be chosen ! I will be using a random number generator to select the winner. Contest ends at 11:59pm CST on 8/22/10. If the prize is not claimed in 48 hours a new winner will be chosen.Contest open to U.S. residents only. I like that it has a HEPA filter & I love the Pet Brush. Took 12 times to get thru that verification code. I don't know why they have to run the letters together like they do! I'm now on your rss feeds for updates for this entry! I'm going to try my best to win this as I couldn't locate the sponsor's contact email address. barb g. (email above,profile). I signed up just now for your email newsletters. barb g. (email above and in profile). I liked you on facebook barb g. I'm the cute cupcake! http://submityourgiveaway.blogspot.com/ barb g. (email above, profile). I placed your button for your blog on my 3rd blog here: http://bloggers4sponsors.blogspot.com/ barb g.
I placed your button on my 4th blog: http://moviesandcrap.blogspot.com/ barb g.
Whoohoo! I tweeted about your giveaway using the share tweet button at the top of the post. I'd never done that before, it was easy! I'd like to signup for your google friends connect but it's now showing up for me. I have Internet Explorer. directorylanesuperstoreATgmail.com barb g. I need more ways to enter! I most love the extra long stretch hose! I love the pet brush! We have 2 dogs, so this would come in handy! My old vacueum cleaner blows out more dirt than it takes in. I would love to own this canister vacuum. Our furniture gets covered in cat hair and the pet brush would make life much easier. I like the pet hair brush aspect. I have the hairiest dog in the world and even though he doesn't get on our couch there is hair everywhere! I'm now a fan on FB- Monica O.
I like that it is safe for hard wood floors as well as carpet. I like the pet hair turbine brush. I like that it can switch over to the hard wood floor nozzle! That's super helpful in the kitchen in those hard to reach places, like that lip under the fridge that collect dust and crumbs. I love the floor brush because my house is all tile. I like that it actually works,mine won't even pick up hair! 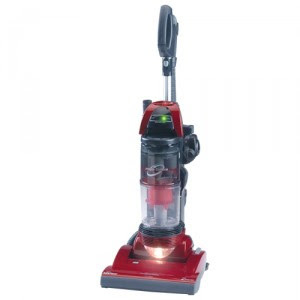 I so need a new vacuum and this one really rocks! I love the stretch hose and adjustable wand that provides up to 12 feet of cleaning of hard to reach places! I love (and need) the Pet Air Turbine Brush. The pet air turbine brush. Love the EZ Bare Floor Switch with a touch of a button and the extra long Hose! I like the Bonus Floor Brush. I hate sweeping my bathroom and kitchen floors. My favorite feature of the Panasonic Jetspin Cyclone Vacuum is the motorized nozzle allows for gentler carpet cleaning and extended belt life. What a wonderful prize. Thanks so much for offering this giveaway. I'm lovin' the Pet Hair Turbine Brush - I have a German Shepherd mix & her favorite thing to do (next to eating) is shedding! I would love to use this also on hard floors, wow talk about time saving! Terrific review and giveaway! The pet hair turbine brush is a fabulous feature!.. especially for my house! I like the long stretch hose. I have a lab that sheds constantly. My house looks like it has miniature tumbleweeds blowing across the wood floors. The pet brush is definitely of interest. A Dirt Sensor?! I believe that is probably the most amazing thing ever! I like the on-board tools. Okay, First this things has a DIRT SENSOR how awesome is that!!! Now i will know for sure when my carpet is clean i mean...WOW!!! Also the pet turbine... well it's perfect especially with dogs!!! I love the attachments and the clear container. The dirt sensor is so cool, I never know if I get all the dirt when vacuuming. I like being able to switch off the agitator when you go from carpet to bare floor. The vacuums I've had, you have to turn it off and readjust the controls on the base. I'm a fan of Life In A House Of Blue on Facebook . I like the pethair feature. I that it can be used from bare floor and carpet, the canister is a big plus. I like that it can work on hardwood floors as well! I particularly like that it has a dirt sensor. When the light is red, dirt is still being detected; when the light turns green, the carpet is clean. Thanks. I love it because it's so versatile! My cheap vacuum is in such disrepair, I'd love a new one! I like that it has a dirt sensor. I have a white dog and a black couch; the pet brush would be great. I like that it would work just as well whether I am vacuuming my area rugs, my carpet, or my stone floors. Versatility is important. Following you on FB / fan. I never saw a vacuum that had an adjustable handle! I like it because I am not even 5" and everything is made for taller people!! It would make vacuuming easy! I really like the Dirt Sensor! Followed and tweeted. Also Facebooked and subscribed to email. I like the fact that it has a Pet Air Turbine Brus. I like the Extra-long Stretch Hose. I like the Pet Air Turbine Brush--with three cats, it's just what I would need! The fact that it is a vacuum haha all I have now is a broom which is such a pain with two dogs, a cat and a kid :) Also like that it's filterles and has the pet brush. I absolutely love that it has a pet brush! I could really use this! Thanks! Although I really like that it has the dirt sensor, my favorite feature is the Pet Air Turbine Brush... With 2 large dogs, I need something like this!!! I like the fact that it uses a HEPA filter. We have hard wood & carpet right now, so I love the EZ Bare Floor Switch feature. I like that you can take it apart and wash it. My current vacuum has developed this weird odor, and I can't seem to get rid of it. The Dirt Sensor would be fabulous. It means I can vacuum without my glasses and not have to worry that I missed something. You are now following Life In A House of Blue ! The pet brush would be a help for sure. I love that it cleans bare floors. We have a lot of wood floors, and I hate sweeping them. This would be terrific! I like that it has a Pet Air Turbine Brush. My fuzzy, furry feline would appreciate it! I love the ease with which the transition from carpet to bare floor is made. I love the dirt sensor, its one thing to give a floor a pass, but to know that it is clean and didn't miss anything is a plus. Love the HEPA filter. So much easier. The HEPA filter is a nice touch! I think the dirt sensor light is neat. Cool vac.........HEPA filter........ oh my! I like the Pet Air Turbine Brush. I desperately need that. This would be great to have to pick up our cats fur.I like the Dirt Sensor. I like the Bonus Floor Brush. Thanks! I'm short, so I love that it has an adjustable handle. My favorite feature is the pet hair turbine brush. commented on your review post! commented on the oreck review!